Buzzsaw Joint was born of a club offering Londoners the chance to revel in the sounds of good ol' trashy rock n' roll in all its vintage vinyl forms. Club top-cat, Fritz, then took the primitive buzzsaw sounds online with a series of savage Mixcloud mixes created by record fiends from all over the globe. Now, the high-octane energy of Buzzsaw Joint has manifested into the physical form with a run of compilations on Stag-O-Lee. Get your ears around the wild n' weird sounds of the extraordinary and inimitable Buzzsaw Joint! Features tracks from Bill Springer, Stick Evans, Herb Zane, The Starfires, The Kingston Trio, The Don Schraier Rocktet, The Metallics, Blues Blenders, Jimmy Uke and his Islanders, The Demons, Jimmie Raye, Doodie Woo, Melvin Smith, Rhythmaires, Ray Johnson, and The Scholars. 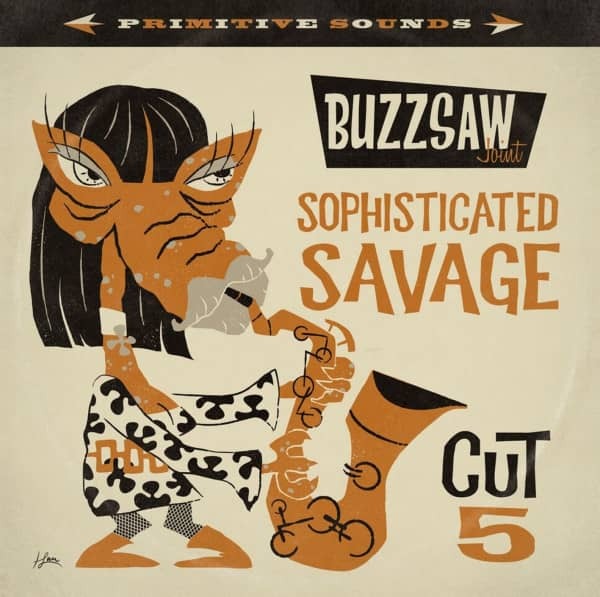 Customer evaluation for "Buzzsaw Joint Vol.5 - Sophisticated Savage (LP)"